Hello! 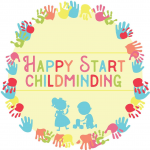 My name is Danielle, an experienced primary school teacher and now a childminder at Happy Start Childminding. For the last 8 years, I have taught nursery, reception and year 1 children in two well respected, outstanding schools. I am responsible and caring, and love working with young children. I ensure that learning is fun and practical, and I adapt activities to suit the needs of the individual child. I live with my partner Pete and our 2 young sons (born Feb 2016 & June 2018). We have a big garden with a brand new log cabin which has been designed as a playroom. We have a RHS gardens and National Trust membership so we can visit local attractions, as well as visits to local parks and play groups. I am currently avaliable Monday - Friday. I can be available some weekends as well, with prior notice. I can do drop off and collection for Little Saints Pre-School. Also available for tutoring of children aged 3-6, specialising in phonics, early reading and maths. Please ask for more details. Saturday tutoring slots available. £7 per hour for all day/full time children. Breakfast, 2 x snacks including fresh fruit, water/juice, wipes, nappies, weekly local trips, resources, daily diary, learning journey to record your child’s progress and achievements. I ask parents to provide infant milk for their child, however I will freely provide cows milk. - After school club: 3pm-6pm - £15 (plus £5 for school pick up). As well as providing a range of activities, I can support with homework & reading.